The year is well under way and we are already at the end of January with a plethora of Indonesian Rugby events on the way. The year promises loads of Rugby we can all follow. Since the beginning of January, clubs and provinces in Jakarta, Bali and Banten have already started their pre-season. 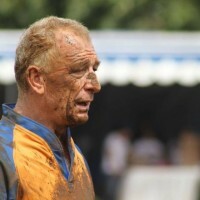 The Jakarta Rugby XVs Series is scheduled to begin on 9th February with two tiers of four teams each. Komodo, Banteng, UNJ and JJRG are in one tier/ pool with four others (Banten, Rusa Bogor, Nusantara Bogor and Bandung) in the other. All games are set to take place at Senayan Rugby Field which will make it more accessible for those who want to watch and support. 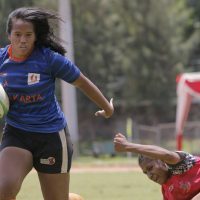 Also in February, PRUI Bali is poised to carry out their Bali Sevens Series with some exhibition XVs games inserted into the schedule. What a great initiative moving towards a possible Bali XVs Series coming soon! 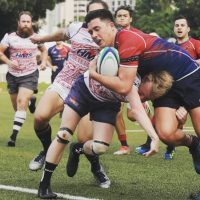 The annual Jakarta Tens Open hosted by Jakarta Komodo is set for April where national and international teams will converge for a great weekend of Rugby in the nation’s capital. April will also see the return of the Indonesian XVs Rhinos taking part in the Asian Rugby Championship Division East III in Brunei Darussalam after a two year vacuum. Under head coach and former National XVs captain Bobby Orlando, we are hoping for great things to come from our Rhinos! 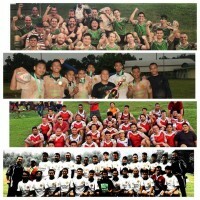 Indonesia will also host the Asia Rugby Sevens Men’s and Women’s Trophy in August and on the 17th and 18th of the same month, conduct the preliminary and elimination tournament heading to the national Games in Papua 2020 (PON 2020). Indonesian Rugby history is also on the horizon when Indonesia hosts the Asian Rugby AGM in Bali in November. 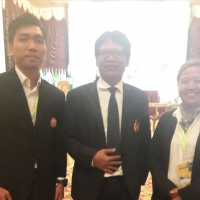 2019 also marks the second time the Men’s and Women’s National Sevens teams will hold the Natioal Training Camp at Gumuk, Special Region of Yogyakarta, in preparation for the SEA Games to be held in the Philippines in December of this year. 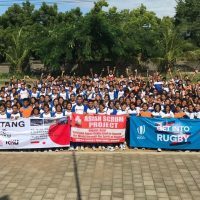 With numerous Rugby activities being conducted throughout the year within Indonesia, Indonesian Rugby hopes to establish itself as a grass roots sports where better performance is also coupled by more and more Indonesians enjoying the game.